The rural landscape in Slovakia was a synonym of agricultural production until 1989 and countryside has fulfilled specifically a productive function. Agriculture still plays a very important role in the Slovak countryside, but after 1989 there have been socio-economic changes in Slovak economy, which has reoriented to the market economy, resulting in changes of the ownership of enterprises, production processes and competition in the market. Countryside has been looking for new poles of development, what can be termed as the diversification of the functions of the countryside, i.e. the transformation of a mono-functional space into a multifunctional space. However, the increase in the amount of rural functions also results in changes of the land cover structure, which are most evident in built-up areas of municipalities. The aim of the paper is to evaluate the changes of the land cover structure of the rural landscape in Slovakia, focusing on the built-up area of the monitored municipality. The municipality of Podhájska, which is the centre of the Termál micro-region, was selected as the model territory and was researched as a case study. In this region, there is a constantly developing tourism, services and business instead of focusing only on agriculture. Changes in the land cover structure were monitored using aerial images from 1987 and 2014 (updated by field research) and the extent and nature of these changes were then analysed by Analysis tools in ArcGIS 10.2. The changes occurred in almost a quarter of the monitored area. Particularly, the use of gardens around houses has changed and they transformed from production to recreation area. The built-up area is also thickened and expanded under the influence of an increase of the tourism importance, especially in the area of former vineyards that had a long tradition in the municipality. The results of the research point to the loss of rural identity in case of increasing amount of function. Similar case studies should serve as base material for documents dealing with thesustainable development of rural areas. Bazík, J. and Muchová, Z. 2016. Land consolidation in Slovakia, where it hangs? In Research for rural development. Eds. : Treija, S. and Skujeniece, S., Jelgava, Latvia University of Agriculture, 201–207. Bohátová, Z., Schwarcz, P., Schwarczová, L., Bandlerová, A., Tĺčik, V. and Mura, L. 2015. Multifunctionality and regional economy management in Kopaniciarsky region of the Slovak republic. Polish Journal of Management Studies 12. (2): 26–36. Boltižiar, M. 2008. Využitie výsledkov diaľkového prieskumu Zeme a historických máp pri hodnotení zmien využitia kultúrnej krajiny (Use of results of remote sensing and historical maps for assessing changes of cultural landscape use). In Inovačné učebné texty z geografie. Eds. : Cimra, J. and Nemčíková, M., Nitra, FPV Univerzita Konštantína Filozofa, 195–228. Bučeková, I. 2007. The development of the spatial structure of the hotel network in the territory of Bratislava. Geografický časopis 59. (1): 65–81. Burian, J., Paszto, V. Tuček, P. et al. 2013. Geoinformatika pri analýzach rurálneho a urbánneho prostoru (Geoinformatics and analyses of rural and urban area). Olomouc, Univerzita Palackého. Cebecauerová, M. 2004. Analýza a hodnotenie zmien štruktúry krajiny (na príklade časti Borskej nížiny a Malých Karpát) (Analysis and assessment of changes of landscape structure [case study of selected part lowland Borská plain and the mountains Little Carpathians]). Bratislava, Geografický ústav SAV. Feranec, J. 2012. Meniace sa Slovensko očami satelitov (Changing Slovakia by the view of satellites). Bratislava, VEDA. Feranec, J. and Oťaheľ, J. 2001. Krajinná pokrývka Slovenska (Land cover of Slovakia). Bratislava, VEDA. Feranec, J., Oťaheľ, J. and Pravda, J. 1996. Krajinná pokrývka Slovenska identifikovaná metódou Corine Land Cover (Land cover of Slovakia identified by Corine Land Cover). Geographia Slovaca 11. Bratislava, Geografický ústav SAV. Haluza, I. 2017. Slovak TOP 80 most profitable companies and their paths to success. Hruška, V. 2013. Diferenciace venkovského prostoru na příkladu Moravskoslezského kraje (The differentiation of rural space in the Moravskoslezský Region). Brno, Masarykova univerzita. Izakovičová, Z. 2012. Environmental Quality of the Slovak Rural Settlements. Životné prostredie 46. (4): 176–179. Johnston, R.J. et al. 1986. The dictionary of human geography. London, Basil Blackwell. Klaučo, M., Gregorová, B., Koleda, P., Stankov, U., Marković, V. and Lemenkova, P. 2017. Land planning as a support for sustainable development based on tourism: A case study of Slovak Rural Region. Environmental Engineering and Management Journal 16. (2): 449–458. Kopecká, M. 2006. Identifikcia a hodnotenie zmien krajiny vo veľkej mierke (na príklade okolia Trnavy) (Identification and assessment landscape changes at the local scale [using the example of the Trnava surrounding]). Geografický časopis 58. (2): 125–148. Löw, J. and Míchal, I. 2003. Krajinný ráz (Landscape scene). Kostelec nad Černými lesy, Lesnická práce (Forestry publication). Mackenzie, J. 2009. Land-Use/Land Cover Transitions in Delaware, 2002–2007. Newark, University of Delaware. Malenová, P. 2007. Sledovaní vývoje využití území s pomocí GIS (Observing the development of land use using GIS). In Venkovská krajina. Eds. : Dreslerová, J. and Grohmanová, L., Hostětín, Veronica & IALE-CZ, 90–94. Martyin, Z. 2015. A dynamically developing Hungarian spa town: Mórahalom. 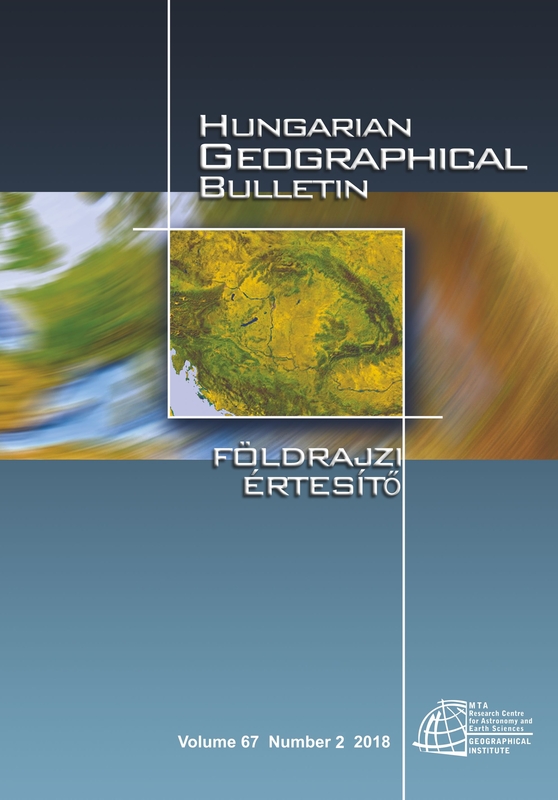 European Journal of Geography 6. (1): 37–50. Némethová, J. 2010. Vybrané faktory multifunkčného poľnohospodárstva v Nitrianskom kraji (Multifunctional agriculture in the Nitra Region). Geographia cassoviensis 4. (2): 131–136. Oťaheľ, J. and Feranec, J. 1997. Rural landscape assessment in environmental planning: case study – part of the Záhorie Lowland. In Rural Geography and Environment. Eds. : Munzar, J. and Vaishar, A., Brno, GEOKONFIN, 89–96. Roland, G. 2000. Transition and Economics: Politics, Markets, and Firms. Cambridge, MIT Press. Ružička, M. 2000. The principles and criteria of landscape-ecological method LANDEP. Ekológia 19. (2): 18–22. Spišiak, P. 2005. Agrorurálne štruktúry Slovenska po roku 1989 (Agrorural structures of Slovakia after 1989). Bratislava, Geo-Grafika. Stěpánková, R. and Bihuňová, M. 2012. Hidden potential of Osadné village. Public recreation and landscape protection – hand in hand. Conference proceeding. Brno, Mendel University, 159–165. Supuka, J., Feriancová, Ľ. and Tóth, A. 2013. Urban Agriculture – Traditions and a new Ways of Development. Životné prostredie 47. (4): 237– 241. Svicek, M. 2000. Detekcia zmien krajinnej pokrývky analógovou interpretáciou cierno-bielych leteckých snímok (Detection of land cover changes by analog interpretation of panchromatic aerial images). Bratislava, Výskumný ústav pôdoznalectva a ochrany pôdy. Šimpach, A. and Pechrová, M. 2016. Development of Population in Predominantly Rural Regions of the Czech Republic and Slovakia. In Agrarian Perspectives XXV. Ed. : Smutka, L., Prague, Czech University of Life Sciences, Faculty of Economy & Management, 371–379. Šolcová, L. 2012. Vývoj krajiny s disperzným typom osídlenia v Novobanskej štálovej oblasti (Landscape development of dispersed settlement in the Novobanská štálová area). Nitra, FNS Univerzita Konštantína Filozofa. TREND, 2006. Rankings of the largest companies in Slovakia. Unspecified, 1988. The future of rural society. Commission communication transmitted to the Council and to the European Parliament. Bulletin of the European Communities, Supplement 4/88. Vojteková, J. 2013. Trendy vývoja banskej krajiny na hornom Ponitrí (Trends in development of mining landscape in the upper Nitra region). Nitra, FNS Univerzita Konštantína Filozofa. Woods, M. 2011. Rural geography: Processes, Responses and Experiences in Rural Restructuring. London, SAGE. Žoncová, M. 2017. Diversification of the Rural Landscape of Microregion Termal in Terms of Transitive Economy. Nitra, FNS Univerzita Konštantína Filozofa.